Lockheed Martin has delivered the first Long Range Anti-Ship Missiles (LRASM) to US Air Force operational units and has achieved early operational capability (EOC) ahead of schedule, sparking opportunities for future Australian service. LRASM is a long range, precision-guided anti-ship missile leveraging off its JASSM-ER heritage, and is designed to meet the needs of US Navy and Air Force warfighters. Armed with a penetrator and blast fragmentation warhead, LRASM employs precision routing and guidance, day or night in all weather conditions. The missile employs a multi-modal sensor suite, weapon data link, and enhanced digital anti-jam global positioning system to detect and destroy specific targets within a group of numerous ships at sea. After successfully completing the required integration, flight testing, and modelling and simulation, warfighters accepted the first of many tactical production units, meeting key criteria for the EOC declaration milestone. David Helsel, LRASM director at Lockheed Martin missiles and fire control, said, "This milestone serves as a great example of collaboration to bring critical capabilities to the warfighter at accelerated acquisition timelines." 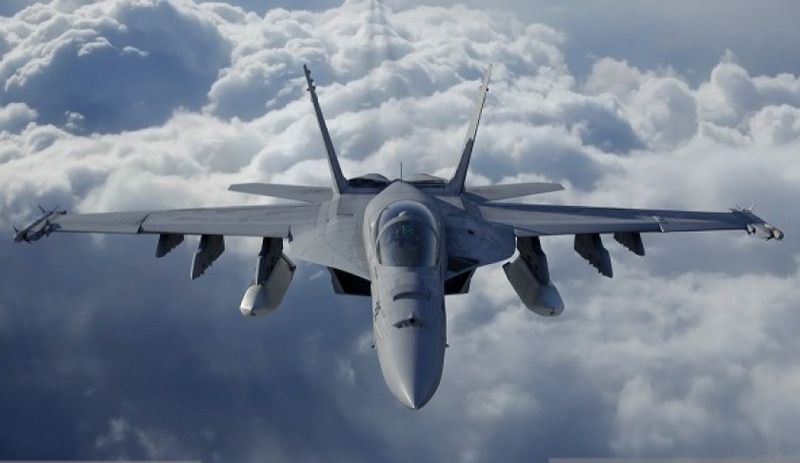 Australia has expressed interest in the LRASM platform for integration with the RAAF's F/A-18E/F Super Hornets and F-35A Joint Strike Fighter fleets to enhance the stand-off, deterrence and strike capabilities of the platforms. The 2016 Defence White Paper (DWP) and the Integrated Investment Plan (IIP) highlight the need for a new anti-ship, maritime strike missile for the RAAF fighter force. The IIP states a requirement for: "A series of new weapons will be acquired for the strike and air combat capability including air-to-surface and air-to-air munitions, with specific consideration of high-speed and long range strike and anti-ship weapons." Sharing about 85 per cent commonality with the JASSM missiles, currently in service with the RAAF, the LRASM technology will reduce dependence on intelligence, surveillance and reconnaissance (ISR) platforms, network links and GPS navigation in aggressive electronic warfare environments. This advanced guidance operation means the weapon can use gross target cueing data to find and destroy its pre-defined target in denied environments. Precision lethality against surface and land targets ensures the system will become an important addition to the warfighter’s arsenal. The LRASM platform is also configurable and compatible with the Navy's Mk 41 vertical launch system (VLS) launcher, currently in service on board the Hobart Class guided missile destroyers, Anzac Class frigates and is expected to form the basis of the Hunter Class guided missile frigates' VLS capacity. LRASM can be employed from guided missile destroyers and guided missile frigates with only software modifications to existing launch control systems.